The data leading up to this landmark finding was collected through the space agency’s Lunar Atmosphere and Dust Environment Explorer (LADEE) – a robotic mission which orbited the Moon from October 2013 to April 2014, to gather information about the Moon’s exosphere. The findings of the study, spearheaded by Mehdi Benna of NASA’s Goddard Space Flight Center here, are published in Nature Geosciences. According to NASA, the revelations give scientists an opportunity to understand the history of lunar water and improve the understanding of the Moon’s geologic past and its continued evolution. However, the scientists working on the project have rejected the idea that all of the detected water on Earth’s natural satellite comes from meteoroids. 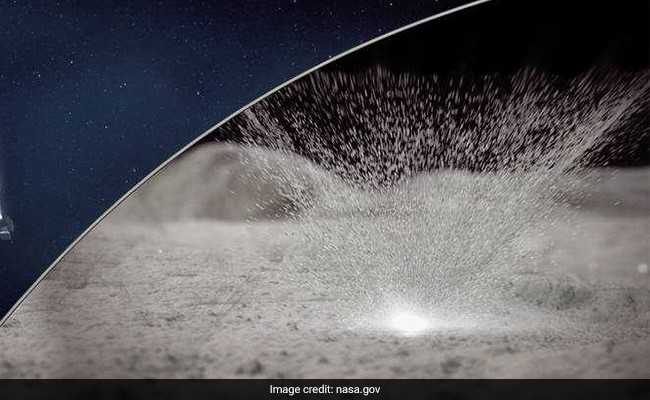 “We know that some of the water must be coming from the Moon because the mass of water being released is greater than the water mass within the meteoroids coming in,” the second author of the research, Dana Hurley from Johns Hopkins University Applied Physics Laboratory, said. Debates regarding the origins of the water on the Moon. The distribution of water on the natural satellite as well as the quantity in which the element is present on the Moon are a few other hotly debated topics in scientific circles.